Chung In Moon is a professor of political science at Yonsei University and Ambassador for International Security Affairs at the Ministry of Foreign Affairs and Trade, the Republic of Korea. Chung In served as Dean of Yonsei's Graduate School of International Studies and as Chairman of the Presidential Committee on Northeast Asian Cooperation Initiative, a cabinet-level post. He has published over 40 books and 230 articles in edited volumes and such scholarly journals as World Politics, International Studies Quarterly, and the World Development. Chung In's recent publications include Handbook of Korean Unification, Arms Control on the Korean Peninsula, War and Peace in Asia, and Ending the Cold War in Korea. He accompanied the 2000 and the 2007 North-South Korean summit as a special delegate. 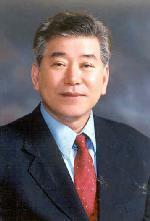 Chung In was also appointed as a member of president-elect Roh Moo-hyun's high level delegation to the U.S. in 2003. He was a fellow of the Woodrow Wilson International Center in Washington, D.C. Chung In served as Vice President of the International Studies Association of North America and president of the Korea Peace Research Association. He is currently a member of the Pacific Council on International Policy (Los Angeles), the Institute of International Strategic Studies (London), and fellow of the Club of Madrid. Chung In is ARF-EEPs representing South Korea and served as co-chair of the first and second ARF-EEPs meetings in June 2006 and February 2007. He is a board member of the Korea Foundation, the Sejong Foundation, the East Asia Foundation, and the International Peace Foundation. Chugn In is also Editor-in-Chief of Global Asia.